The Translation Centre under the Cabinet of Ministers of the Azerbaijan Republic (AzTC) is founded in accordance with Decree No. 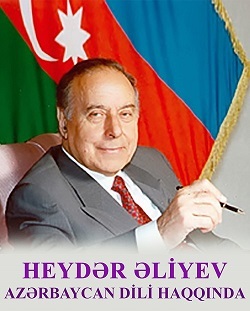 169 of the President of the Azerbaijan Republic, Ilham Aliyev, dated May 16, 2014. AzTC is an executive body which centralizes translation work, manages socio-political, scientific, technical, literary and cultural ties from the point of view of language and translation, oversees the standard of translation in the republic and improves its quality. 1. Official Correspondence. The core functions of the department are: centralizing, managing and improving socio-political, scientific, technical, literary and cultural ties from the point of view of language and translation at both the local and international level; overseeing the accuracy of the language and translation of the correspondence (international treaties, interstate contracts, official acts, conventions, etc.) that State bodies maintain with relevant international organizations; and producing Government-commissioned translations. 2. Education, Culture & Science. The core functions of the department are: managing centralized translation in science, education, art and literature; overseeing the use of the Azerbaijani language in accordance with the established norms; arranging events to promote Azerbaijani literature and scientific-cultural heritage at the international level; organizing and promoting world literature, culture and science in the country through translations into Azerbaijani; starting with education in translation, designing organizational mechanisms to improve translation in accordance with international standards and norms and working in other ways to promote translation work; and overseeing books and other publications issued by AzTC. 3. International Relations. The core functions of the department are: shaping the mechanisms to promote Azerbaijani literature, scientific and cultural heritage worldwide; establishing contacts with leading language specialists, publishing houses, cultural centres and other related organizations across the world; arranging international conferences, forums and academic symposiums on professional translation, theory and culture in order to learn from international literary and intercultural experience; inviting world famous writers, language and translation specialists to Azerbaijan as well as arranging for local translators/specialists to receive training abroad. 4. Publishing. The core functions of the department are: establishing contacts with leading publishing houses around the world; publishing Azerbaijani literature, scientific and cultural heritage in foreign languages and world literature in the Azerbaijani language; publishing books and other AzTC materials; preparing for publication abroad examples of Azerbaijani literature, scientific and cultural heritage; and publishing Khazar World Literature magazine and Aydin Yol literary newspaper and special supplements. 5. The Scientific-Literary Board, functioning on a voluntary basis, approves quarterly and annual thematic plans for the translation and publication of internationally significant literary and scientific works and for the translation into Azerbaijani of leading examples of world literature, as AzTC deems appropriate and essential. 6. The Expert Board, functioning on a voluntary basis, evaluates the quality of language and translation of texts and materials sent to AzTC and assesses the proficiency of all specialists at AzTC. 7. Khazar, a quarterly world literature magazine, covers developments in modern world literature. It translates and publishes leading literary works by world famous figures, and information about the authors' lives and work for Azerbaijani readers. In addition, Khazar is responsible for boosting literary translation, running columns to allow young translators to show their skills and publishing and promoting materials on the specificity and theory of literary translation. 8. Aydin Yol, a weekly literary newspaper, focuses on language, literature and translation in the country, and the use of the Azerbaijani language in accordance with the norms and rules. The Azerbaijan Translation and Literary Correlations Centre was founded in accordance with Order No. 113, dated 6 March 1989, by the Soviet of Ministers of the Azerbaijan Republic to translate the best examples of Soviet as well as world literature into the languages of the peoples of the USSR and other languages across the world. The first Chair of the Centre was Aydin Mammadov, a notable Turkologist and Member of Parliament (MP), who died in a car accident in 1991. Afag Masud, writer and translator, ran the Centre from June 13, 1991 to May 16, 2014. The Centre was set up during a period of widespread social and political upheaval (war, economic and political crisis, etc.). During these difficult years, through its own efforts it pioneered the translation into Azerbaijani and publication of hundreds of works, from the Quran and Gospels to the work of famous writers from around the world, such as Gabriel Garcia Marquez, Franz Kafka, William Faulkner, Thomas Wolfe, J. D. Salinger, Alexander Solzhenitsyn et al. The Centre is also the founder of Khazar world literature magazine and Yol weekly literary newspaper.